David Sedaris is a regular contributor to The New Yorker and Public Radio International's "This American Life." He is the author of the books Dress Your Family in Corduroy and Denim, Me Talk Pretty One Day, Naked, and Barrel Fever. 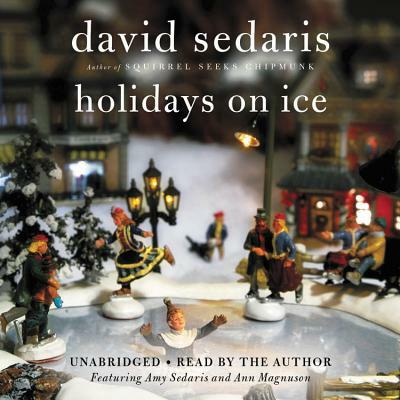 "...Sedaris has as much fun as is humanly (or elfishly) possible in his behind-the-scenes look at this particularly American tradition of sitting on Santa's lap and asking for stuff...Part of the fun is hearing the reaction of the New Yorkers who have to wait in line, pay for Santa photos, and generally go mad in the Christmas frenzy that Macy's embodies. And Sedaris, never quite who he seems to be, has the nasty tone of his commentary down perfectly."